Australia is a leading global education provider, featuring some of the world’s best facilities, teachers and locations for international students to learn English. Despite only having a population of 23 million, Australia is the third most popular student destination in the world. It isn’t just that Australia offers students a world class education though, it is also because of the weather, lifestyle and exciting activities that make living and learning in Australia an unforgettable experience. 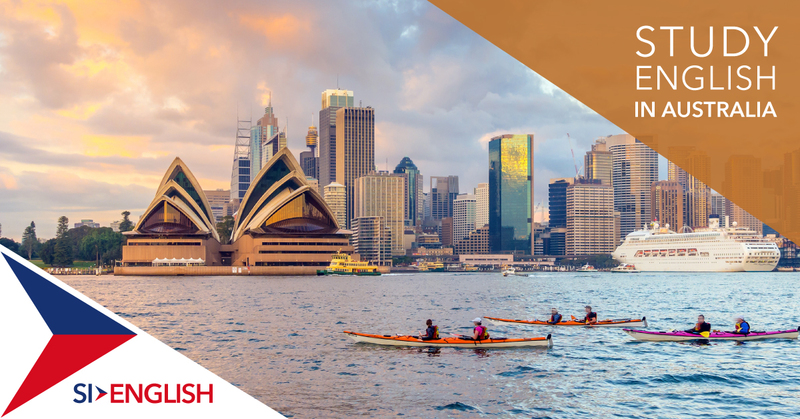 Whether you wish to study in Melbourne, Perth, Sydney or Gold Coast, the many English schools in Australia provide something for everybody. Are you interested in studying in Australia? SI-English can guarantee you an offer letter from an Australian language school within 24 hours with our Free Application Service! Choosing to study in Australia means benefitting from mild winters and hot summers, allowing you to take advantage of the beautiful coastline, outback and cities without the threat rain ruining your day. Tuition and living costs are considerably lower in Australia than they are in the US and UK, but most importantly the standard of living is the same. In addition, the Australia government offers $250 million dollars a year in scholarships and funding to international students! If you would like to earn a little extra money while living in Australia, international students are allowed to work up to 20 hours per week while studying. Working part-time will also allow you to meet a variety of new people, improve your English and add vital experience to your CV. Australia is a multicultural country, with a broad mix of races, religions and traditions ready to welcome students from all over the world. Almost a quarter of Australians were born overseas and Harmony Day, which takes place on March 21st each year, is a celebration of Australia’s cultural diversity. Australia’s landscapes are often breathtaking, and world famous places of natural beauty such as the Great Barrier Reef and the Blue Mountain make a lasting impression. This enormous country is home to few people relative to its size, and its dramatic outback and remote interior mean most life lives by the coast. If you are interested in studying English in Australia, apply with SI-English today. We can help you apply to schools in Sydney, Melbourne and Perth and guarantee you an offer letter from a school within 24 hours. Learn more about the best English schools in Australia today.